We believe that eating good quality and good tasting food is the most important things we can do for ourselves. Not only is the right food the best fuel for our bodies, it is the way we gather and connect with one another. Well Pared is committed to providing food and drink options you can feel good about. We’re committed because we care and because we believe knowing where our food comes from, matters. We are here to change the way people eat by making healthy simple! We believe we can do this through increased awareness, education and access to healthier meals. We know our bodies need vital nutrients in order to function properly, over the past 5 years our commitment to offering our community, family and friends only the very best ingredients, remains at our core. Our mission has expanded and it will continue to do so as we grow and learn. We strive every day to be better and we’re always finding new ways to ensure everything you eat at Well Pared is the best it can be. 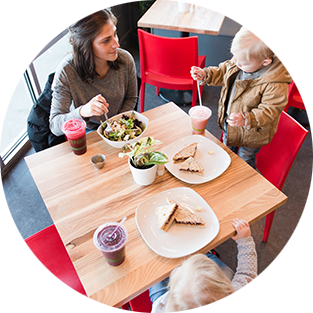 When we first opened in 2013, “Healthy” and “Fast” were not two words you would often find together in the world of quick-service restaurants. We wanted to change that! 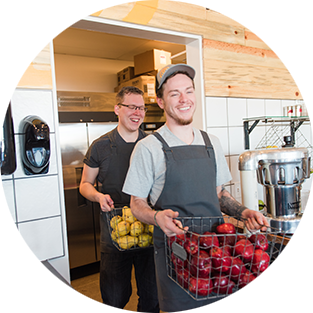 Our mission was to provide our community with fresh, healthy and delicious food at an affordable price. Although it has grown, our mission has never changed. Our menu offerings continue to be simple, healthy and easy to prepare and all of our products are free of artificial colors, sweeteners, flavors, and preservatives. As time went on we realized that in order to fulfill our mission, we needed to be more than a restaurant, more than an eatery and juice bar. Although healthy, simple food and drink options are our foundation for encouraging a healthy lifestyle, we wanted to empower everyone to start their journey to better nutrition. We realized that in order to do this, we needed to be a resource, to make sure we made our customers lives easier and that our methods made their lives better. 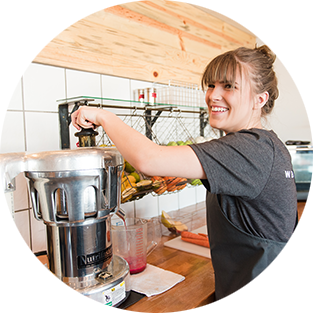 Well Pared is an eatery and juice bar, that focuses not just on healthy food, but wellness as a whole. Launching Well Pared allowed us to communicate this message and fulfill our mission. This company has a lot of great things happening right now, and you’re going to start seeing some of these things, if you haven’t already. You’ll see a new logo, new look, new colors, new photography and new graphics. This new brand represents health in every way; even our colors are vibrant and fresh. We still pay attention to the important things, like serving our community, family and friends only the best ingredients we can find. All of this, what it all comes down to, is wanting to meet and exceed the needs of our customers.